Social media is here to stay. The faster sales professionals learn to use it, the better off they’ll be. The trick, according to Romual Jean-Baptiste, is to seek to serve when using social media. 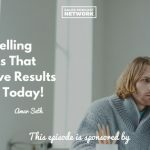 Today on The Sales Evangelist, Rom explains how he uses social media, why he uses social media, and why you must incorporate it into your own sales process. The truth, he said, is that we really have no choice in the matter. Everyone around us is using social media, and it’s a necessity that we evolve to it. The more we resist it, the more of a disservice we’re doing to ourselves. Rom is a certified special educator whose company provides in-home tutoring for clients in New York City. His ideal customer is a married working mom who is busy with her career, her family, and her social life. She uses social media extensively to interact with her friends, share things with her family, and ask questions. Everything Rom does on social media is based around Lisa. He completely surrounds himself with her life so he can understand how she sees the world. He joins women’s groups, reads content targeted at women like Lisa, and goes to live events and interacts with women like Lisa. He even tries to predict her favorite restaurants. Rom said he constantly learns new things about Lisa because she is always evolving. As a result, his marketing and his use of social media must do the same. He has determined that, once you understand your ideal client, you’ll be able to market effectively. Once you understand who you’re marketing to, watch them to see how they use social media. Rom discovered that his prospects are in their 30s, so they are primarily using Facebook, although they are also moving to Instagram. Because his prospects are moving, he’s going with them. He also said he is careful not to spread himself too thin, choosing instead to focus on a couple of different platforms instead of trying to master them all. In Rom’s case, he follows the school calendar and other related events to provide value to prospects. If they ask a question about education, he answers it. If they accomplish something, he congratulates them. If the end of the school year is coming, he posts about summer learning. During back-to-school, he shares information about that. By understanding who he’s going after and the problems they face, he is able to provide content relevant to the pain they are facing. Invest in the people you’re trying to reach. 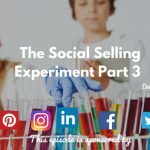 People tend to overthink social selling and incorrectly assume that the goal is to push their own agenda. Instead, Rom said, take the time to invest in your ideal customer. Understand her. Provide value to her. Once he has the number, he sends an infographic to their phone with a list of questions they should consider as they continue their research and decide which tutors to choose. How will you inform my child’s teacher about his progress? This guide helps them make an informed decision about tutors, even if they decide to go with another company, and it’s directly on their phones so they can access it as they interview prospective companies. Seek to serve when using social media. Use time to improve your ROI. It boils down to the platinum rule: treating people the way they want to be treated. And though it may seem too time consuming to keep up with all of your clients via text message, Rom said the return-on-investment is incredible. If you are able to scale the unscalable, the sky is the limit. It might seem too time consuming to send a Mother’s Day text to each one, or to acknowledge a child’s birthday, but people do business with people they know, like, and trust. Your clients will always be loyal, and they’ll refer you to other people. 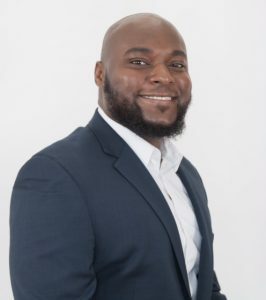 If you’d like to connect with Rom to hear more about how he tripled his revenue in less than two years with the help of social selling, connect with him on Facebook.